Or more aptly stated, people delivered once again. The 9th annual Wags to Riches fund raiser is the single most significant fund raiser of the year for the Friendship APL of Lorain County. This year was my second time attending so count me in as a repeat offender. 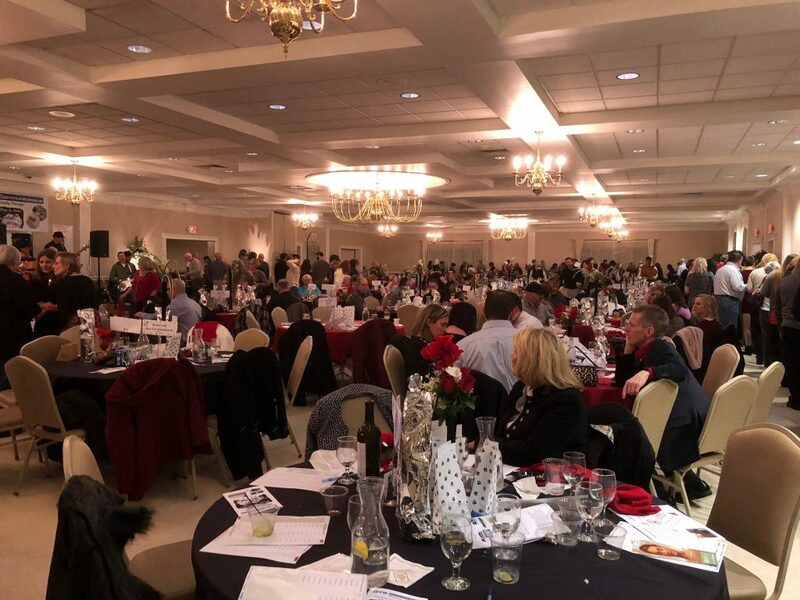 There were a lot of familiar faces from ’17 as the shelter’s employees, volunteers and board members all worked diligently to not only carry the evening to a finish line of success, but also help construct the evening from the ground up months in advance. Sure, there were plenty of eye-popping prizes with many attendees dressed to the nines. That’s not what Wags is about. The band Honeycreek returned to the delight of many and filled the night’s air with plenty of music. That’s not what Wags is about. The food was delicious, proving to be a feast fit for a king. Nope, not what Wags is about either. The cat that can’t see. The dog whose skin is sunk in between his ribs. That’s it. That is exactly what Wags is about. I’m not going to get into the specifics of what FAPL’s vet bills cost, but it’s safe to say they are the shelter’s largest expense year in and year out. Despite the financial quicksand that these medical procedures prove to be, there is no denying they must be done. If there were someone capable of saying no to the treatments and medications these animals need, I can assure you, there is no place for that person at FAPL. Money is a major concern, certainly, but FAPL’s main directive is not to save money. It’s to save lives. Probably one of the greatest moments for me at this function is seeing those life-saving successes in person. There was dog who had a dangling limb and is now up and about on three legs, happy as can be and licking everyone’s face in sight. Then there’s Hope, the blind cat that was once terrified and hurting is now pain free and loving her home. These are two examples. There were 4,500 animals rescued by FAPL last year. You can definitely believe there were a treasure trove of success stories in addition to the two I mentioned here. For FAPL, their work is never done. With that in mind, Wags to Riches isn’t just a fun night. It’s a necessary night. The shelter’s appreciation for the generous donations goes without saying, and with that in mind, it reminds me of something I once heard FAPL Director Greg Willey say. Many months back, I overheard someone express how they were sick of people in general in regard to the cruelty some of these animals face. Greg responded with a swift rebuttal that abruptly pointed out just how awesome people can be. Wags to Riches is the evidence of that. Look at what that core group of people do at the shelter on a daily basis. Look at what 300+ guests did at the 2018 Wags to Riches this past weekend. Yeah, there are some bad people in this world. There are also a lot of great folks with hearts that have no limit to their generosity. Lebron may be someone to root for, but FAPL is something to root for, and Wags to Riches is its court, its rink, its end zone.